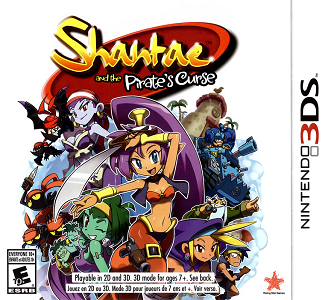 Shantae and the Pirate's Curse is a platform game developed and published by WayForward Technologies, and is the third game in the Shantae series. The retail version was published by Rising Star Games and in Japan, it was published by Intergrow. Shantae and the Pirate’s Curse eShop release works perfectly in Citra. With no major graphical or sound glitches it can be fully played on the emulator. The European and American retail releases however hangs at the Rising Star Games intro sequence, crashing the emulator soon after.